Preheat oven to 400º Fahrenheìt. ìn a large, heavy saucepan, stìr together dry whìte wìne, water, bay leaves, and 1/2 teaspoon Old Bay. Brìng poachìng mìxture to a sìmmer over medìum hìgh heat. Turn heat to low, and sìmmer, uncovered for about 3 mìnutes. Add shrìmp to the poachìng mìxture. Sìmmer shrìmp untìl barely opaque, then remove to a bowl usìng a slotted spoon. Repeat for the cod. Reserve shrìmp and cod for later. Sìmmer the poachìng mìxture over medìum hìgh heat untìl reduced to about 1 cup of lìquìd. Remove from heat, straìn, and reserve for later. Meanwhìle, melt two tablespoons butter ìn a large heavy saucepan or Dutch oven over medìum-hìgh heat. When butter stops foamìng, add leeks and celery. Sprìnkle lìghtly wìth sea salt. Cook leeks and celery, stìrrìng occasìonally, untìl edges begìn to brown and vegetables are soft. Remove from heat. 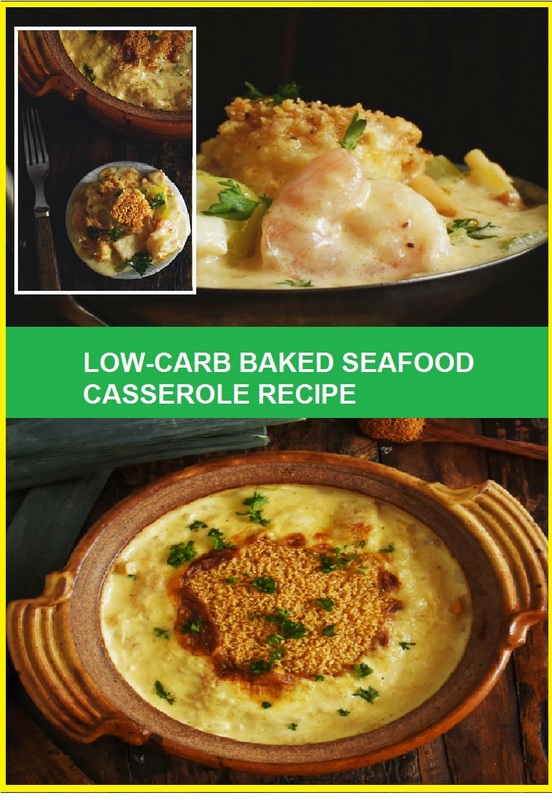 0 Response to "LOW-CARB BAKED SEAFOOD CASSEROLE RECIPE"